Iceland GeoSurvey, ÍSOR, is a service and research institute providing specialised geothermal research and services. ISOR is one of the world´s leading geothermal research organizations and stands for over 65 years of continuous experience in of geothermal research, encompassing all disciplines of geosciences, drilling engineering, utilisation technology and reservoir physics and management. 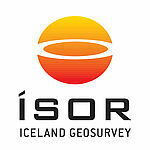 ISOR has been the main scientific leader in the successful geothermal development in Iceland. ISOR has a long lasting experience with participation in geothermal projects worldwide, for example in Central & South America, East Africa, China, Russia, and Central & Eastern Europe. Furthermore, the geothermal experts of ISOR have a firm knowledge and overview of geothermal energy worldwide. ISOR has strong relation to the academic world through co-operation agreement with University of Iceland and University of Reykjavik and several of ISOR’s experts have adjunct professorships at the University of Iceland and University of Reykjavik.